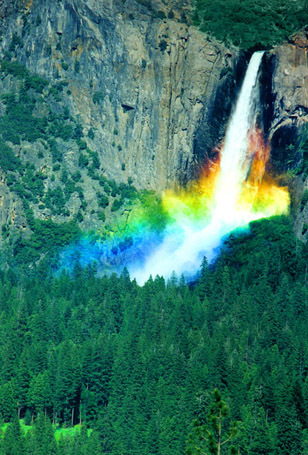 This beautiful waterfall is in Yosemite Park, where Bridalveil Creek pours over the edge. When the sun is just right, a rainbow appears. A linear polarizing filter held at just the right angle accentuates the colors. At the bottom is Bridalveil Meadow.